Alberta has been in an economic funk since 2014, when a drop in global oil prices led to more than 100,000 jobs lost in the province’s dominant natural resource sector. Red Deer financial analyst Nathan Giesbrecht says that he noticed the weak economy in 2015 and 2016. In 2017, things seemed to be improving. They tanked again last year. “We’re seeing a lot of cases right now where business are saying, ‘I’m done,’” he said. Alberta’s unemployment rate was stuck at 7.0 per cent in March, far exceeding the national rate of 5.7 per cent. Calgary’s was 7.7 per cent – the second highest in the country after St. John’s. NDP Leader Rachel Notley, who took power just after oil prices dropped, argues she just needs more time to fix things. Notley had argued Alberta could get the “social licence” to build a new pipeline by implementing a carbon tax and phasing out coal-fired electricity, but a federal court said last year that the Trans Mountain pipeline expansion project cannot move ahead. Notley said she believes approval will be in place by May. United Conservative Party Leader Jason Kenney has argued for a more aggressive approach. He says he would scrap the carbon tax, allow coal plants to stay open past 2030, and hold a referendum to end equalization payments to other provinces if no pipeline gets built by 2021. Rick Peterson heads a grassroots group called Suits and Boots that lobbies for the struggling natural resources industry. He says Albertans are angry. “There’s a demand for change,” Peterson said. “The Alberta election may change some of it but it is not going to change this whole concern about the future of the resource sector,” he added. 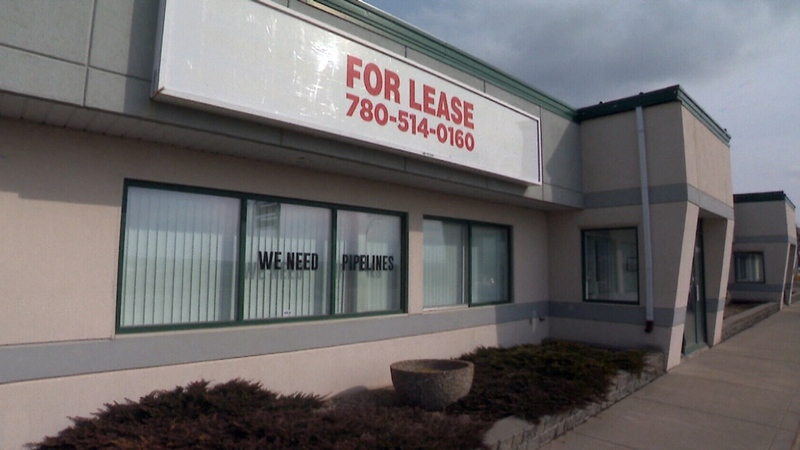 An empty commercial building in Drayton Valley, Alta.